Apparently, I’m ready for my closeup. These are the shoes I’m wearing today. I think I’m going to wear them all summer long, even when I’m just reading or writing on my back porch. They make me feel so large and in-charge, and because I’m going to crank out a draft of my book this summer I’ll need all of the help I can get, even if the only place I’m going most days is over to the refrigerator for more iced tea. Those shoes are decent, but what you really need are Candies. Dunno if they still make them, though. Since I let the grey show through, I’m no longer getting stopped by campus security as I head into events where students aren’t permitted. I love the shoes – are they comfy? Large, in charge and comfy would be the Platonic ideal of shoes, I’d think. I love the shoes, but can’t imagine why you would bother wearing any shoes at all while on the back porch — isn’t being barefoot one of the perks of summer? They are totes comfy. The big platform makes for a very stable shoe, plus height!!! Sisyphus: Barefoot is great, but I get depressed sometimes when I work at home alone for several days or weeks in a row. Getting showered and dressed *even though* no one will know is one of my major insights from having worked too much at home alone on a dissertation. I remember that one day I was going out to meet a friend for a movie, and entering a shop along the way I saw a woman coming out the door at the exact same time as I was reaching for the handle to enter the shop. I looked at her and registered that she looked like she was businesslike, impressive, and in a hurry, so I stepped out of her way to let her pass. It was my own reflection that I stepped aside for. I didn’t even recognize myself, so diminished had I become in my own mind. So this summer’s plan is 1) shower, 2) clothing, and 3) SHOES, even if I end up kicking them off after the first 15 minutes. Wait, there are shoes with manuscript-finishing powers? Where do I get them? Wouldn’t wear these shoes because my taste is different and I am an old man. My moment of passing the button happened many years ago at 45, when two female students asked me: “sir, do you have the time?” End of delusions just took place, I am with the sirs now. I survived. I always need to wear shoes when I’m in heavy writing mode… otherwise it’s too easy to lie down and sleep instead 🙂 But my preference is running shoes. And I’ll put them on even if I don’t really bother to get dressed that day. So a typical writing outfit for me might involve sweat pants, a nightgown, a sweater, all topped with a bathrobe, and some running shoes. I go full-on layered bag-lady when writing. …and allll the little people out there in the daaark. Oops! Sorry, it’s “all those wonderful people out there in the daaark..
Jeezus fuclkemanne you got some air consitionaing? Otherewise, too much hoteat! You haven’t changed a bit in the years since I’ve known youse, Historiann–I mean in the “look like somebody’s mother” department. I wouldn’t have even been surprised if some candidate had asked you to join their ticket. As for me, I’ve been getting “sir”-ed all over the place around here the last few years. I keep wanting to attribute it to the pathological politeness of the kidz in this generally quiet part of the country. But it’s middle aged cops handing out charity paper flowers at the downtown sidewalk mall; the wizened clerk at the county records office; even stooped greeters at Walmart. If that b’b’b’ bas-tud who’s currently chairing the Astrophysics department tries it, thought, that’s when we’ll go to wrassling. I also want to sign up for a pair of those “why not let US write that damnable last chapter?” shoes, even if they run out of that stunning electric blue and I have to settle for some other color! Could I see your ID please ? Miss. I would never think you look like a student’s mother, h’Ann. 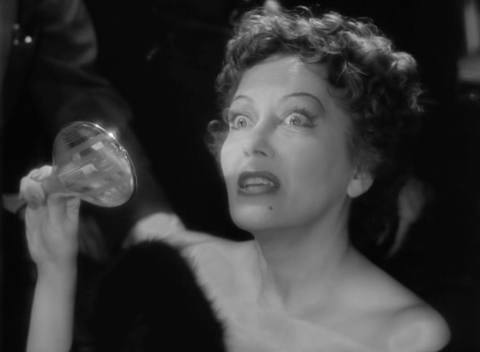 I first got “Ma’am” from a student c. Age 30, and while I know it was cultural, oh, it made me feel old. Love the shoes. They are happy! I always shower and dress before writing,, though not always high fashion! When I go into grant-writing mode, I stop shaving my face until the grant gets submitted. This cycle, I submitted two R01s, one in the middle of February and one in the middle of March, so I just kept it going. By the time I submitted the second one, I looked like motherfucken Grizzly Adams. I get ma’amed a lot by students, mostly by our vets. Like FFP says, it’s cultural & not necessarily a judgment on age. I kind of like it. Love the shoes! Are they B.O.C. by any chance? 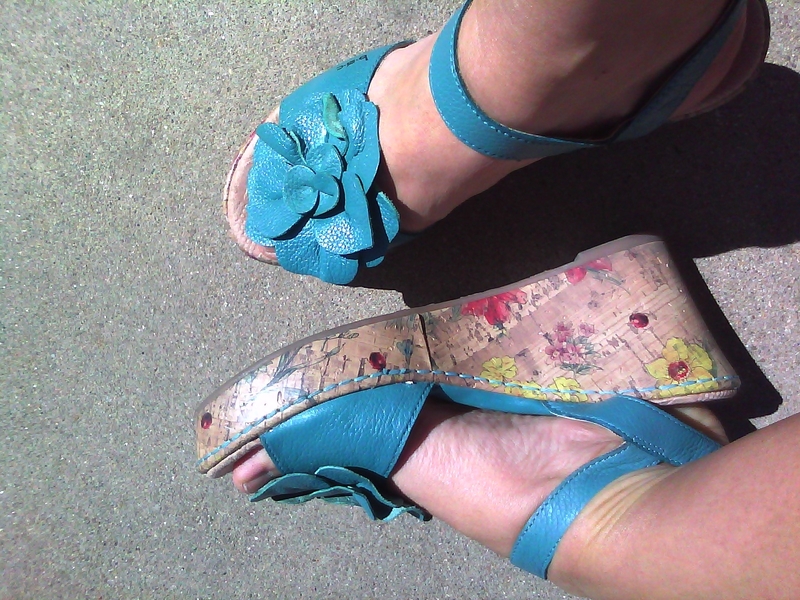 They have a whole line of incredibly comfortable, colorful shoes with flowers on them and I can’t get enough of them! I think when you project health and fitness — as you almost certainly do, Historiann — people perceive you as younger. Same is true for being fashionable — those shoes say “young” (but not too young — not like some kind of desperate-for-her-youth woman who gets monthly botox or anything). I find that around here people often mistake me for much younger than I am (even before I started covering the gray, and especially when I was in shape) and students are often *shocked* when they find out I’m their mother’s age. That just doesn’t compute to them. That said, it’s been awhile since I mistaken for a student! Congrats, Historiann! Btw, the first time I got ma’amed was when I was in my early 30s, living in casual SoCal, and frequently mistaken for a student. I said to the guy who ma’amed me, “You were in the military, weren’t you?” “Yes ma’am,” he answered. Totally cultural. I have gray hairs, but so far I think they’re blending into my highlights. As they say, old blondes don’t dye, we just fade to gray. . . If we are talking about writing gear, rumor has it that Forrest McDonald wrote his books naked. Any of the colonialists confirm or deny?